Those with an eye for detail will also appreciate perforated discs and callipers with “Mercedes” lettering*. In addition, firmer suspension is fitted for a more involved experience. The leather come in a choice of 3 colours: Black, Sahara Beige and Crystal Grey. 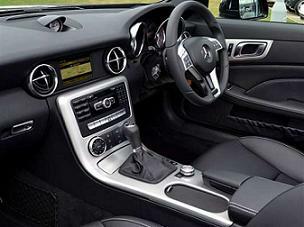 Car Leasing Deals Terms: Mercedes SLK 200 prices based on Business Operating Lease over 2 Years. SLK Lease Car Offers Based on 10,000 Miles pa - Other miles available upon request.